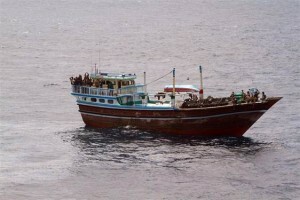 Somalis continue to engage in piracy in the Red Sea and Gulf. as pirates and target merchant vessels in the Red Sea and Gulf of Aden. believed financed by international figures. that the number of “active pirates” was in the “high hundreds.” He said virtually all of the pirates stemmed from clans in Somalia, who now hold nine ships and 225 crew members. counter-piracy task force that patrols both the Red Sea and the Gulf. pirates to one such prison. negotiate ransoms for the release of ships and crews.